ONE THING IS VERY OBVIOUS in the world of sport, and that is the fact that records are meant to be broken. One area that exemplifies this so much is the area of football, where we jump and scream and talk about one record today, only to have it dwarfed tomorrow. One of the most important members of any football club is the manager, and any team that gets this right normally excels. When José Mourinho managed Benfica and later won the Champions League at Porto, it was a record the world could not stop talking about. He was one of the youngest managers at the time, and not only that, he was also doing great things even at that age. 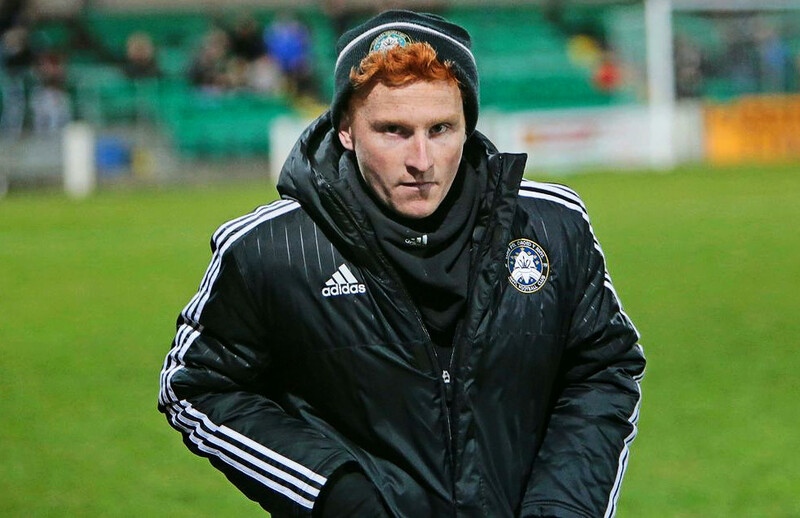 However, he will not be holding the record of the youngest manager to have coached a European club anymore because of what Niall McGuinness is doing in the Welsh Premier League. Recent years in the European top flight football has experienced some set of young managers. They include people like Eddie Howe, Garry Monk and Lee Johnson, all from the UK. Some others include André Villas-Boas, who followed in the footsteps of Mourinho, and the more recent Marco Silva. However, the presence of McGuinness as the current manager of Rhyl FC is the icing on the cake. The tactician is just 24 years old. There are many other things that make the position of McGuinness as the manager of Rhyl newsworthy. The first one is that he became manager and picked his father as his assistant. So, while you watch out for him on the sidelines, you will see his father sitting or standing right behind him as his right-hand man. Of course, many people couldn’t have thought of any better support, backbone and sincerity than what this young manager will be getting from his own father. The young manager opined that having his dad as his assistant feels great. According to the boss, they share the same football philosophy and have short deliberations before they jump on the sidelines for every game. However, on whether he ever encounters any problems with his father as his assistant, the young manager answered that they do have some disagreements, naturally, but that it’s acknowledged that Niall is the one in charge. On another note, McGuinness recently enjoyed another privilege of managing a football team as his newborn son was given a lifetime contract by the club a few days ago. When he was interviewed about the last record, he answered that he is enjoying the fun aspect of it. He revealed that the club and its committee initiated see it as a gesture meant to welcome his son to the world. When questioned on how he eventually became manager of the club, McGuinness talked about his love for football, which has been there from the onset, and that his experiences in the Wrexham and Rhyl academies shaped him. He said that he secured a community coaching job at just 19 and was later given the job of coaching the youth team at Rhyl for some seasons before being appointed the manager of the senior side last year.